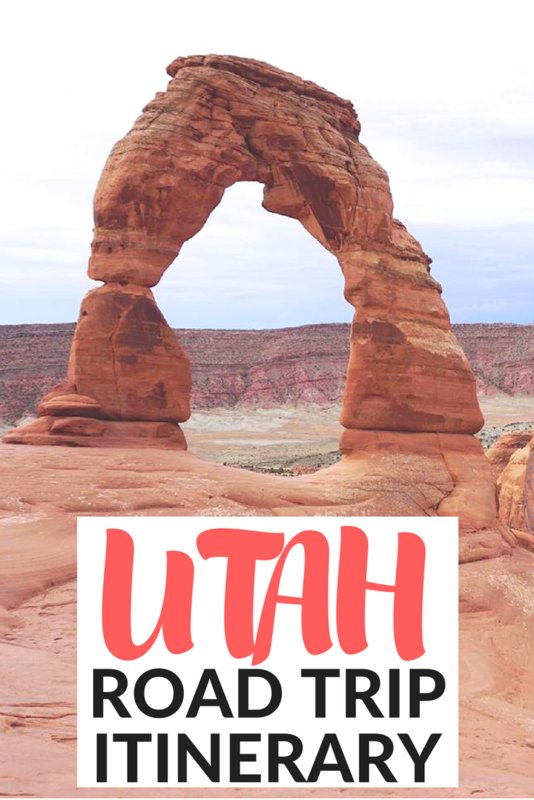 Utah has quickly become one of my favorite vacation destinations in the USA – seriously! The National Parks in Utah are absolutely incredible and a must-see for any outdoor enthusiast. 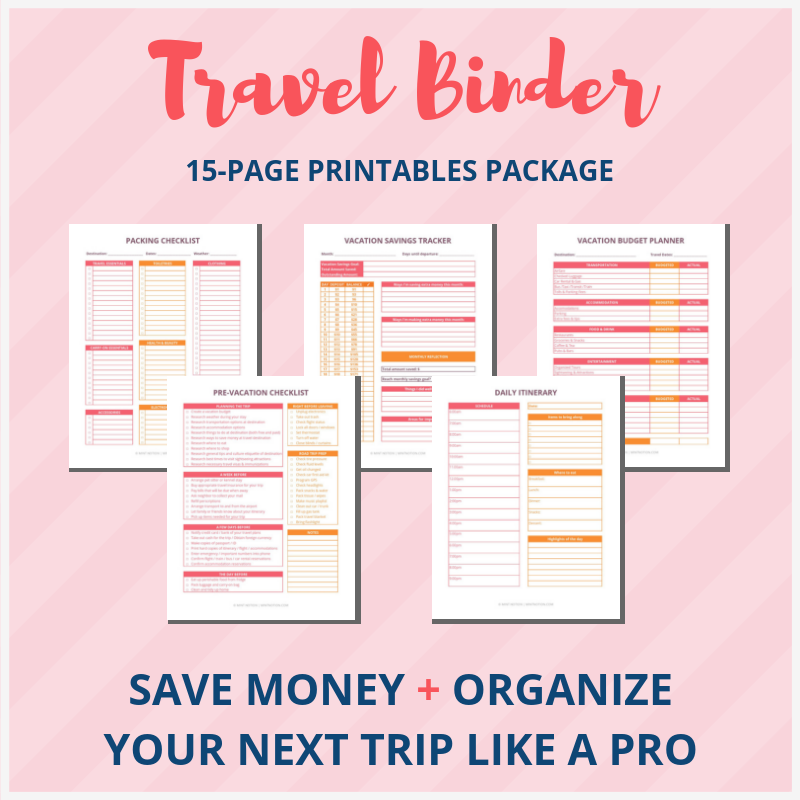 This past August, my fiancée and I did this exact same itinerary (which is quite ambitious to be honest) since it’s jam packed with lots of places to visit. It’s hard to imagine that all of these amazing outdoor adventures can exist in one place. There were some mornings where the temperature dipped all the way down to 50 degrees Fahrenheit and just an hour’s drive away the temperature soared past 100 degrees Fahrenheit. I truly believe you’ll have the time of your life exploring Southern Utah’s natural beauty. If these National Parks are not already on your travel bucket list, use this one-week itinerary to get inspired and plan your Utah road trip. 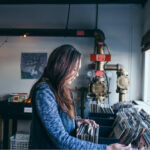 Where to spend the night in St. George? Where to spend the night near Bryce Canyon? Where to spend the night in Moab, Utah? 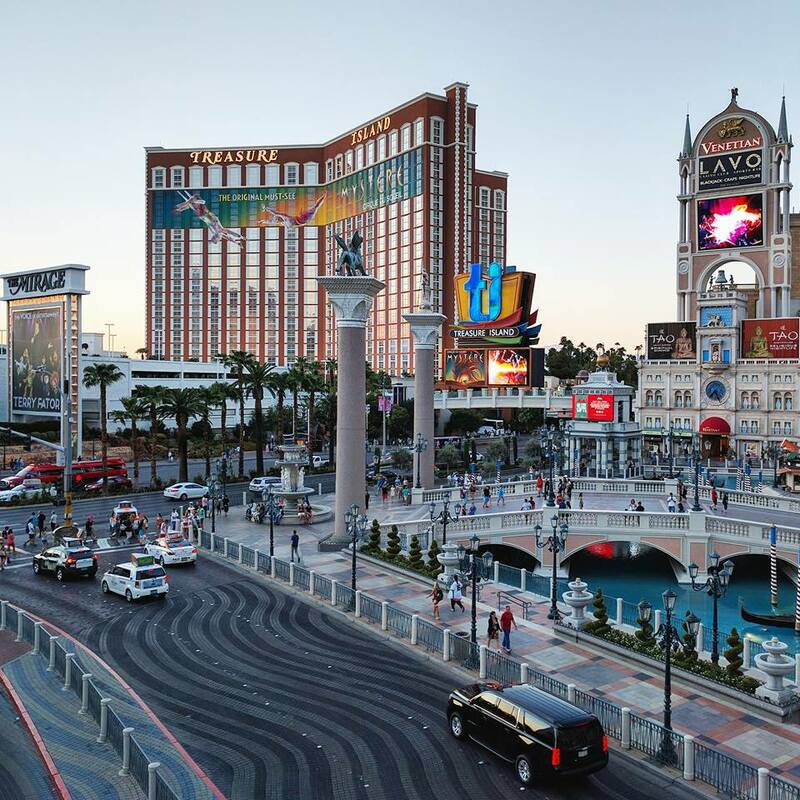 Start your vacation by flying into Las Vegas and picking up your rental car. 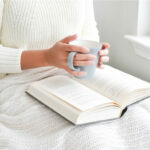 Try to arrive in the morning or early afternoon to maximize your first day. We rented a full-size car from Enterprise and really enjoyed their service. I recommend using RentalCars.com to find the best price for your trip. Depending on where you are flying from, you may want to grab a quick bite to eat before heading to Utah. 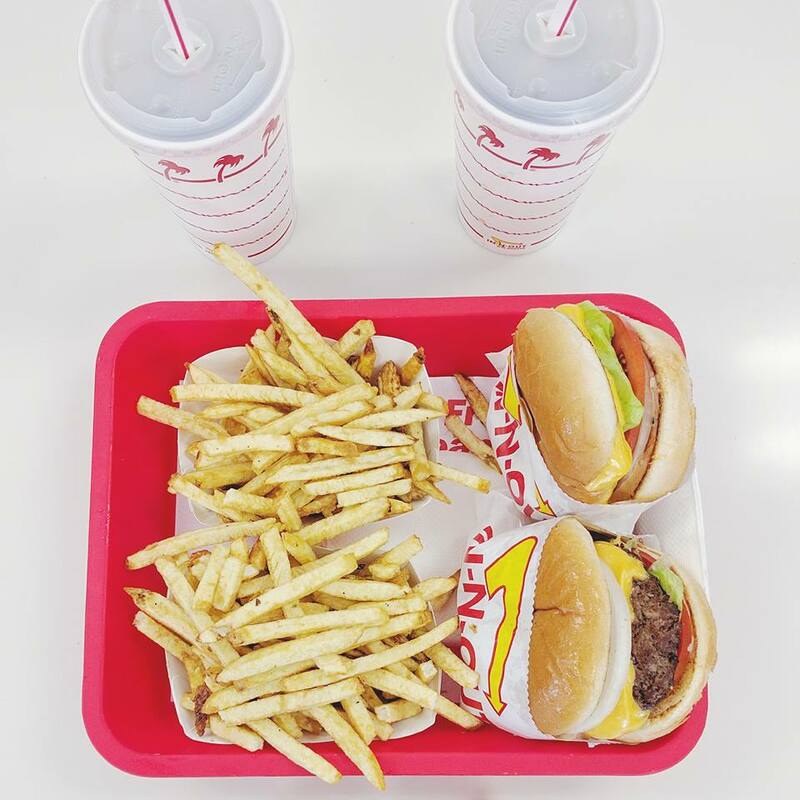 (We stopped at In-N-Out — I can’t resist their grilled cheese). 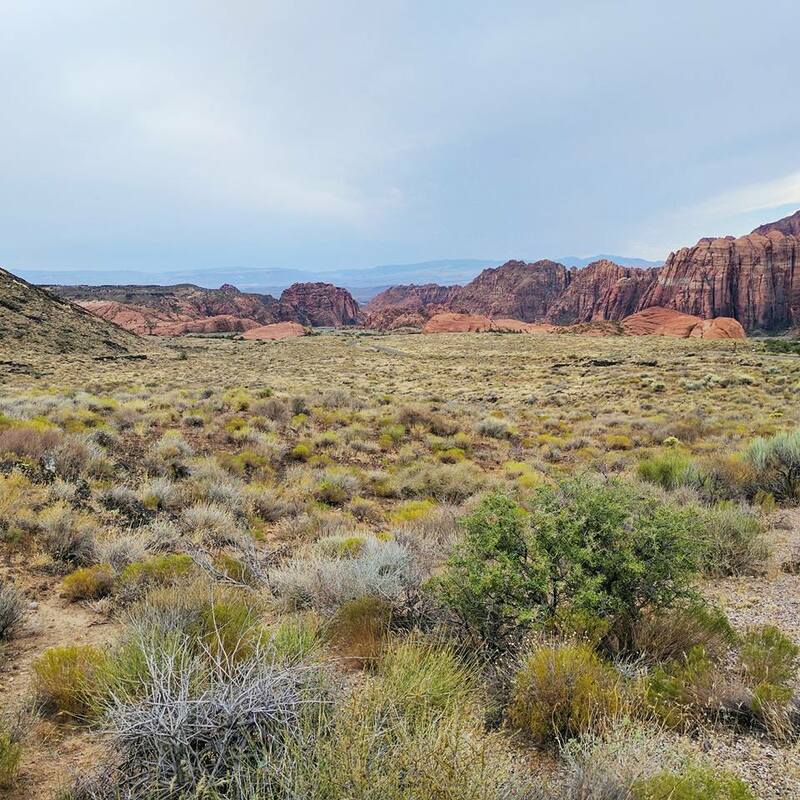 Located in the 62,000 acre Red Cliffs Desert Reserve, Snow Canyon Park is a scenic place to visit near St. George, Utah. There are more than 38-miles of hiking trails, which is perfect for any outdoor enthusiast. Plan to spend 1-2 hours exploring Snow Canyon. We stayed at the St. George Inn & Suites for two nights, which received good reviews on TripAdvisor and was an affordable option. There is also a campground available at Snow Canyon State Park as well, if you prefer to spend the night camping. Another great option is to book your accommodations through Airbnb. There are lots of nice vacation rentals available in the St. George area. (Use this Airbnb link to save $40 CAD on your next stay). Get an early start by heading to Zion National Park. The drive from St. George to Zion National Park takes about one hour, so plan to leave your hotel early. (We left at Zion National Park just after 7:00am). Located near Springdale, Zion National Park is a nature preserve and it’s easily recognized by Zion Canyon’s steep red cliffs. 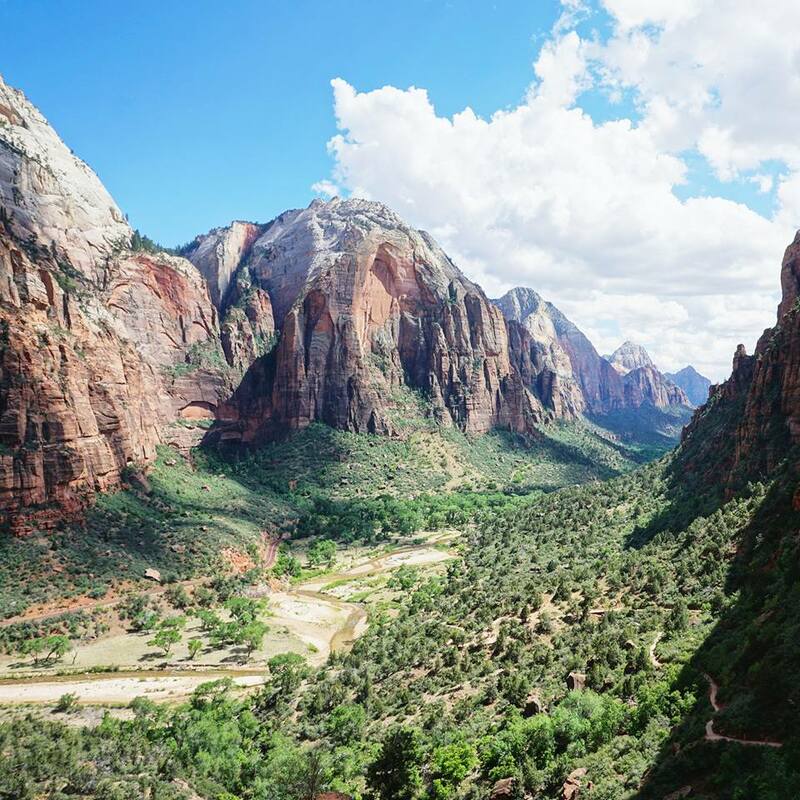 Hiking is the most popular activity in Zion as there are many bucket list adventure trails here such as Angel’s Landing and The Narrows. I highly recommend spending the full day exploring Zion. It’s by far my favorite national park in the USA and there are so many wonderful things to do and see here. However, if you’re short on time, you can take the scenic drive through Zion (the Zion-Mt. Carmel Highway). Parking is very limited inside Zion National Park. In order to get a spot, I recommend arriving before 10:00am. If the parking lot is full, there is lots of street parking available just outside the park in the town of Springdale. Then hop on the free town shuttle, which will take you to the park entrance. From April to October access into the canyon is by the free shuttle bus only. The Zion Canyon Shuttle stops at nine locations in the park and runs from early morning to late evening (as often as every seven minutes). From November to mid March, private vehicles are allowed to access the canyon. Located in Zion National Park, The Narrows is the narrowest section of Zion Canyon. This popular hike is one of the world’s best slot canyons and can be tailored to suit any ability level. Just upstream from the Temple of Sinawava is the section of the Virgin River where this awe-inspiring hike starts. With very little direct sunlight and water flowing all around you, The Narrows is a bucket list hike for any adventure seeker. 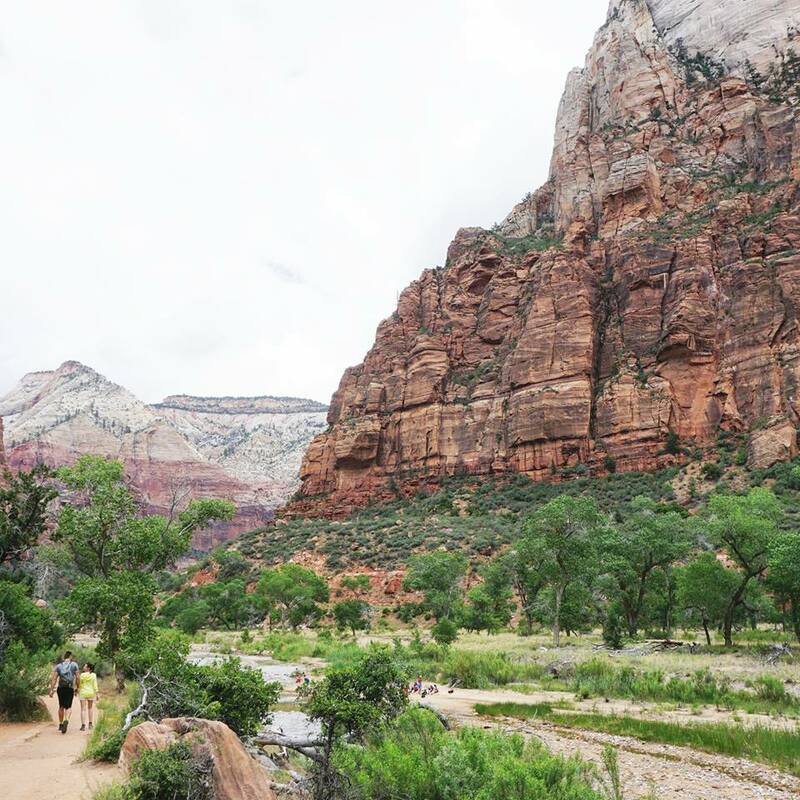 Arrive at the park early and ride the Zion Canyon Shuttle to the last stop (approximately 40 minutes). This hike is fairly popular during the busy season and can get crowded by the lunch hour. I highly recommend arriving here before 8:00am (or earlier). 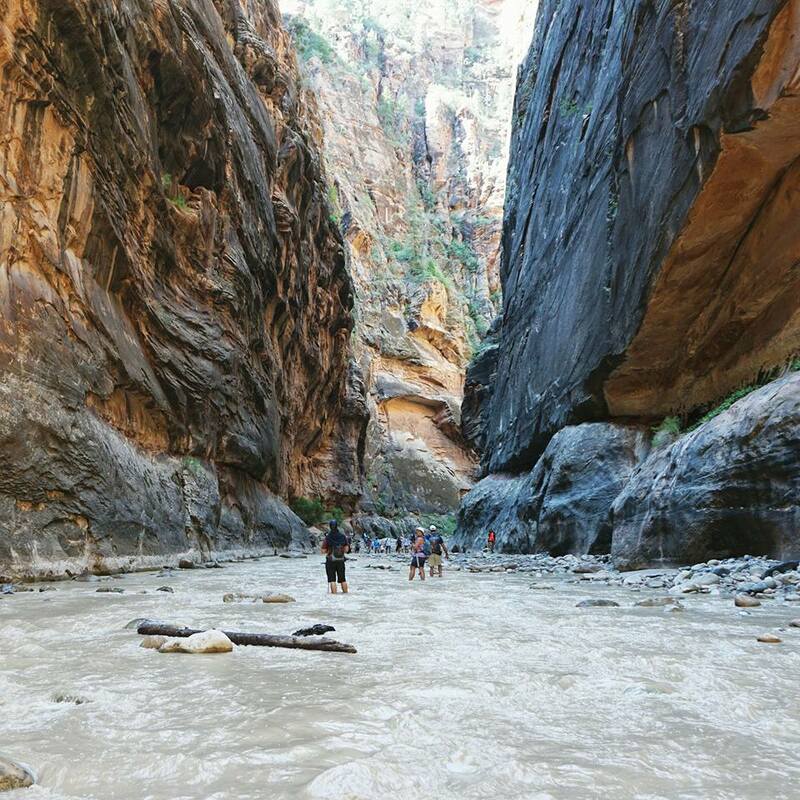 This hike is through the Virgin River, so it’s inevitable that you will get wet. I recommend wearing water shoes, quick-drying clothing and bringing hiking poles to help keep your balance when walking. I wrote a full post about my experience hiking The Narrows which includes extra tips and equipment recommendations. After exploring The Narrows, take a break for lunch. You can enjoy a picnic in Zion or grab a bite to eat outside the park in the town of Springdale. I recommend wearing shoes with good traction as the sand on the rocks can become slippery. You will also want to bring a hydration pack so you don’t have to worry about reaching for your water bottle on the trail. This hike is not suitable for children or those with a fear of heights. However, I saw lots of families hiking here with kids despite the warnings. I wrote a full post about my experience hiking up Angel’s Landing which includes my best tips for this hike. Wake up early and drive to Cedar Breaks National Monument. We weren’t sure if we would have enough time to visit Cedar Breaks, but we are so happy that we stopped here. Cedar Breaks is a natural amphitheater, stretching across 3 miles and has a depth of over 2,000 feet. The view is absolutely breath-taking and I recommend spending about 20-30 minutes here to enjoy it. After visiting Cedar Breaks, drive to Bryce Canyon. The drive from Cedar Breaks to Bryce takes about 1 hour and 15 minutes. Bryce Canyon is known for its crimson-colored hoodoos, which have been formed by the freezing and thawing of water and wind over millions of years. 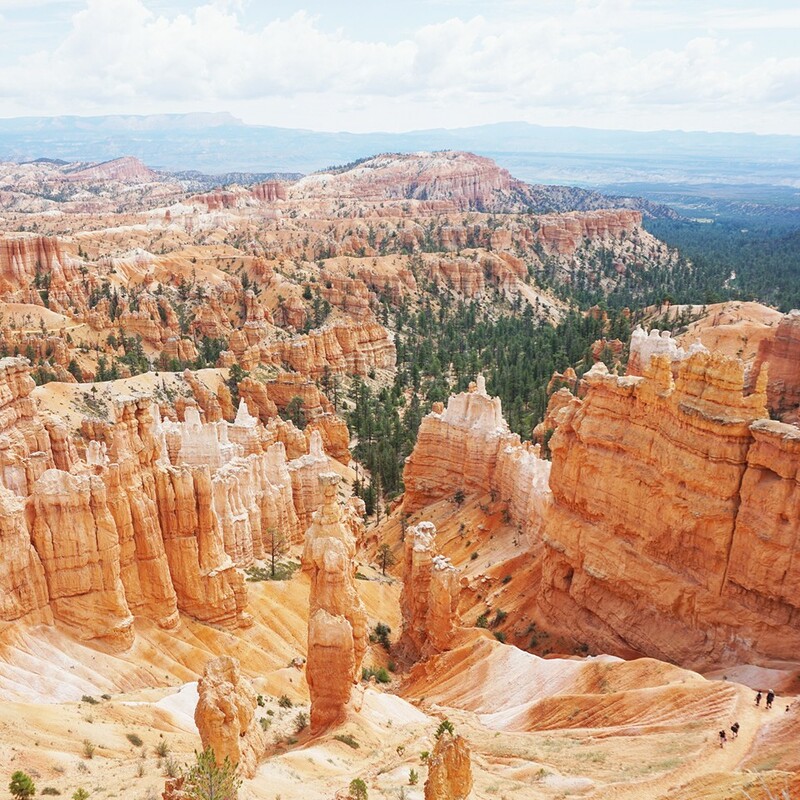 Hiking in Bryce Canyon is the best way to see and experience its incredible geography. There are plenty of day hikes to do in Bryce, ranging from 1-mile loops to adventurous 11-mile round trip journeys. This is the most popular trail in Bryce and I recommend this hike if you only have one day to spend in the park. This hike is actually a combination of three trails, which offers the best views of Bryce Canyon. From the Sunset Point trailhead, you can follow the trail east over the rim into Bryce Canyon. You will then see the Navajo Loop trail sign to the right. Follow the route descending down the switchbacks into Wall Street. Continue along the trail which will lead to the Peekaboo Loop. If you’re short on time, you can head straight to the Queens Garden from the Navajo Loop. However, if you continue along the Peekaboo Loop, you can take the Queens Garden trail later, which will lead to Sunrise Point. We stayed at America’s Best Value Inn, which is located in Tropic, Utah – less than a 15-minute drive from Bryce Canyon. Campgrounds are also available inside Bryce Canyon National Park, which is a great option if you want to experience sunrise at Bryce Canyon. Again, another great option is to book your accommodations through Airbnb. There are lots of nice vacation rentals available in the area. (Use this Airbnb link to save $40 CAD on your next stay). Get an early start by driving through Grand Staircase-Escalante National Monument. This is a beautiful route to get to Capitol Reef National Park. 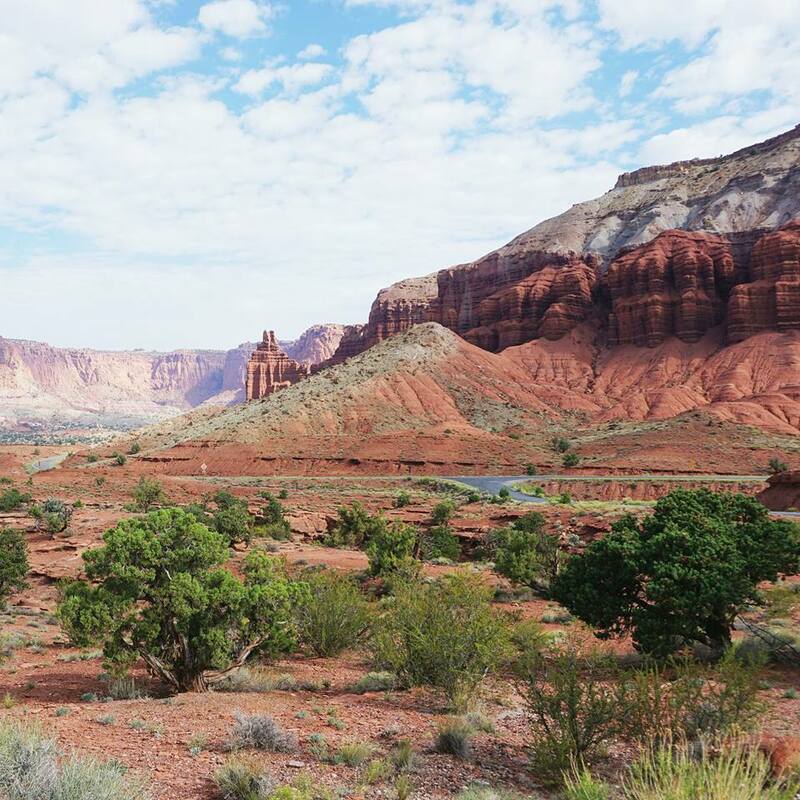 Capitol Reef is filled with layers of golden sandstone, canyons and incredible rock formations. Popular sights in the park include Chimney Rock pillar, the Hickman Bridge arch, Goosenecks overlook and Capitol Reef. If you’re short on time, I recommend the Goosenecks Trail which doesn’t take long. Otherwise, you can drive through the park and stop at various vista points to enjoy the view. 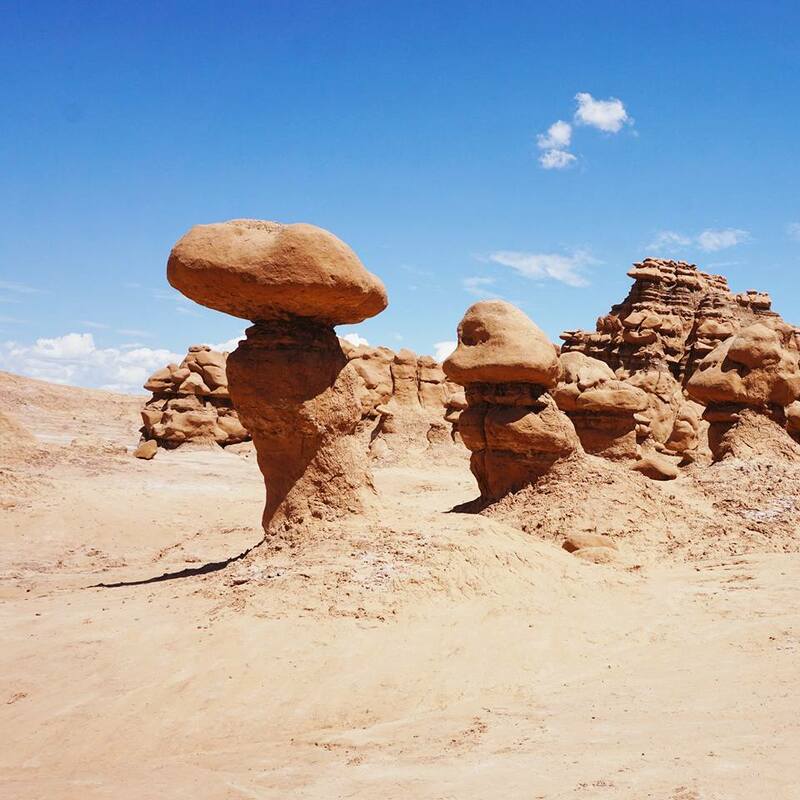 After visiting Capitol Reef National Park, continue driving towards Goblin Valley State Park. Goblin Valley is by far one of the strangest and most unique places to visit in Utah. It feels like you are literally driving into the middle of nowhere to get to this park, but definitely worth a visit! The park features thousands of hoodoos and hoodoo rocks, referred to as “goblins”. These mushroom-shaped pinnacles are a sight to see, and its landscape is often compared to Mars. Plan to spend about an hour exploring here and make sure to bring plenty of water as it’s quite hot during the summer months. 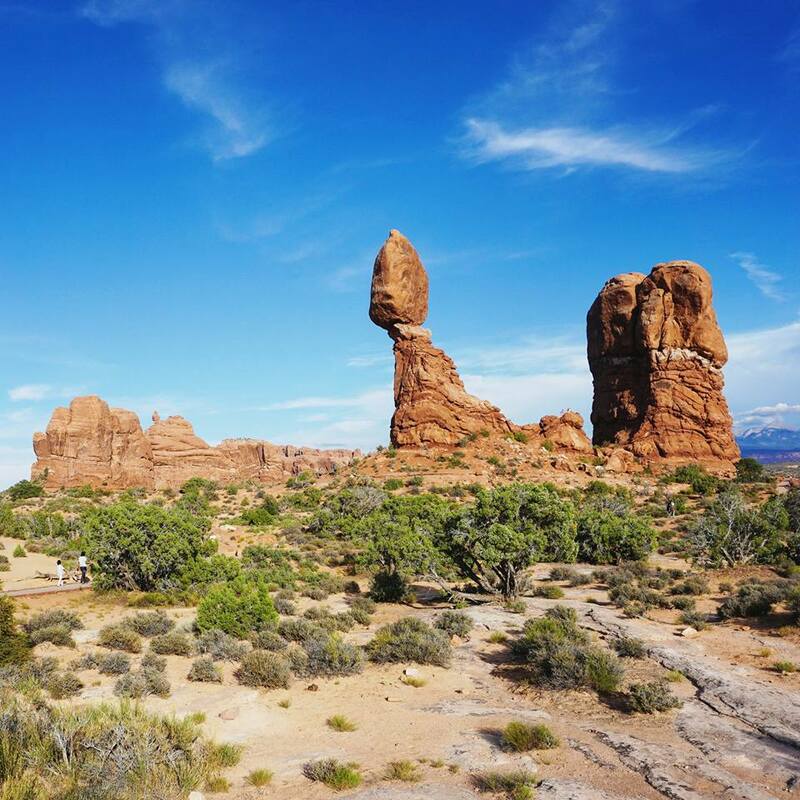 After visiting Goblin Valley, head to Moab, Utah where you’ll be spending the night. Campgrounds are available at Goblin Valley too if you prefer to enjoy the evening there. We stayed at The Virginian Motel in Moab for three nights, which is conveniently located to Canyonlands, Arches and Dead Horse Point. You may choose to camp at any of these parks as well if you prefer. Again, you can also book your accommodations through Airbnb. There are lots of nice vacation rentals available in the area. (Use this Airbnb link to save $40 CAD on your next stay). 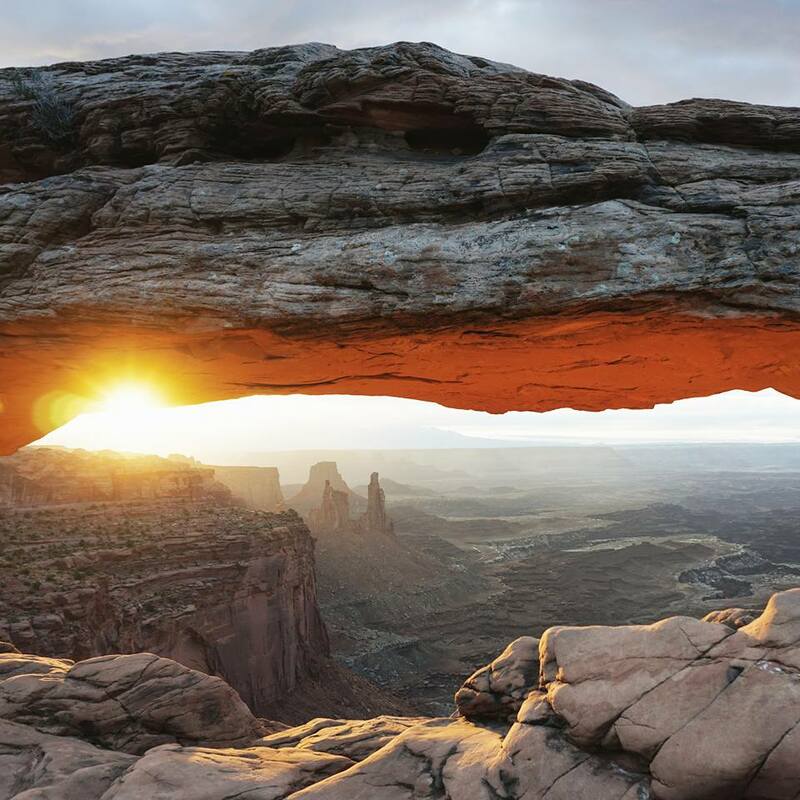 Wake up early and head straight to Canyonlands to enjoy the sunrise at Mesa Arch (this is one of the nicest spots to view the sunrise). The drive from Moab to Mesa Arch is around 45-50 minutes, so do plan ahead. There is a parking lot nearby the trailhead, so you don’t have to travel far from your car to get to Mesa Arch. The rivers divide this park into four districts: the Island in the Sky, the Needles, the Maze, and the rivers themselves. There are so many wonderful hiking trails in Canyonlands and it’s impossible to experience it all in one day. I recommend visiting the Mesa Arch trail to watch the sunrise in the morning, then heading to the Grand View Point trail, which offers incredible panoramic views. Head back into town for a late breakfast / or early lunch. 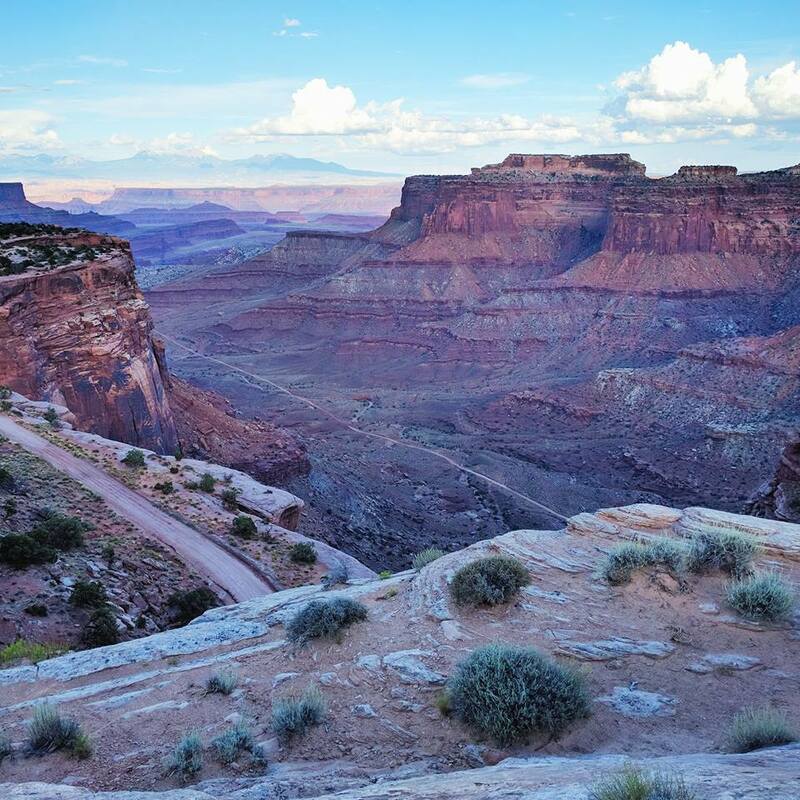 You can also enjoy a picnic at Canyonlands if you prefer to explore more there. You will want to take a break in the early afternoon when the temperature is hot and the trails are busy. This will give you time to rest so you have plenty of energy to stargaze at Dead Horse Point in the evening. Dead Horse Point features a dramatic overlook of the Colorado River and Canyonlands National Park. You may also recognize this park from the popular movie Thelma & Louise. The Grand Canyon scene where they drive the car off the cliff was actually filmed at Dead Horse Point. Fun fact! This is the perfect spot to watch the sunset. I also recommend sticking around to stargaze here. It’s recognized as an International Dark Sky Park and is one of the best spots to see the Milky Way. I was literally in awe looking at all the stars in the sky — it’s truly a miracle to witness. 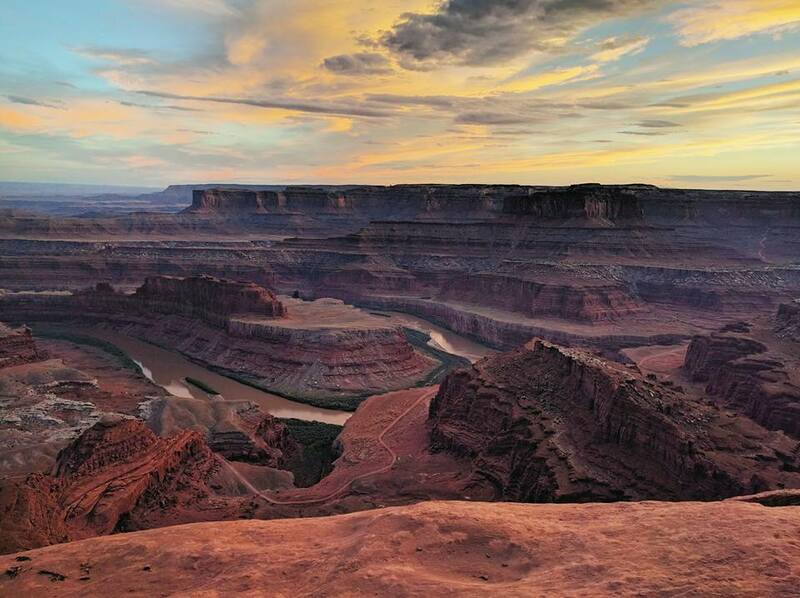 Sleep in a little this morning, especially if you were up late stargazing at Dead Horse Point. If you want to get up early to watch the sunrise, I recommend heading to the Windows trail at Arches National Park to see the sunrise. This park has over 2,000 natural stone arches, giant balanced rocks and more incredible formations. 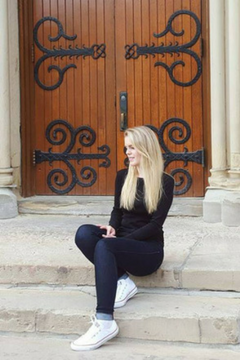 Arches can get quite busy throughout the day, so I recommend arriving early. Aim to do a couple of trails here. My favorites are the Devil’s Garden trail and Delicate Arch. 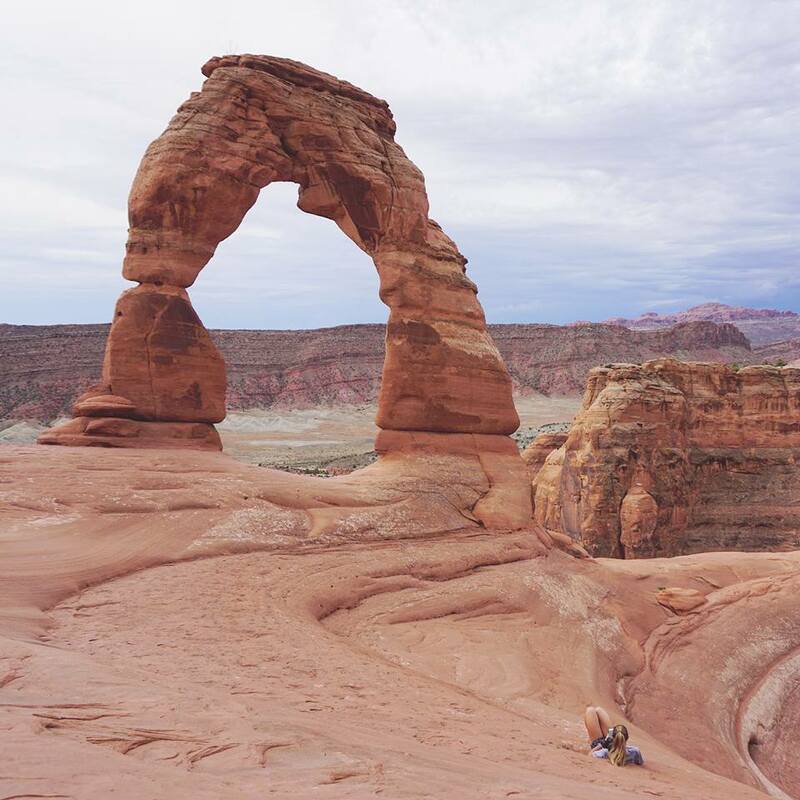 The Delicate Arch trail is best to visit at sunset, so head to Devil’s Garden first. You will see several arches on the Devil’s Garden trail, including Landscape Arch which is one of the largest natural spans in the world. If you are feeling adventurous, you can take the Primitive Trail, which is a tough alternative route to or from Double O Arch. Watching the sunset at Delicate Arch is a must. Make sure to bring plenty of water with you since this is considered a difficult hike. Unfortunately it started raining while we were at Delicate Arch, so the sun was hiding behind the clouds. You made it through a week of enjoying Utah’s National Parks and knocking off some amazing hikes from your bucket list. Now it’s time to end the trip by relaxing (or partying) in Las Vegas. I recommend staying near the center of the Las Vegas Strip so you can easily get around. We stayed at Bally’s, which was the perfect location to visit the surrounding hotels and attractions. The key is to stay at a hotel near the shows or attractions you want to visit. Trust me, you don’t get anywhere fast walking around in Vegas. We went on the Higher Roller at the LINQ, which is the tallest observation wheel in the world. It was beautiful to see the Vegas lights from above. Make sure to book your tickets online to get a discount (we saved $14 by booking our tickets online). If you’re looking for fun things to do in Las Vegas (besides drinking or gambling), I wrote a whole post sharing my favorite Vegas activities. 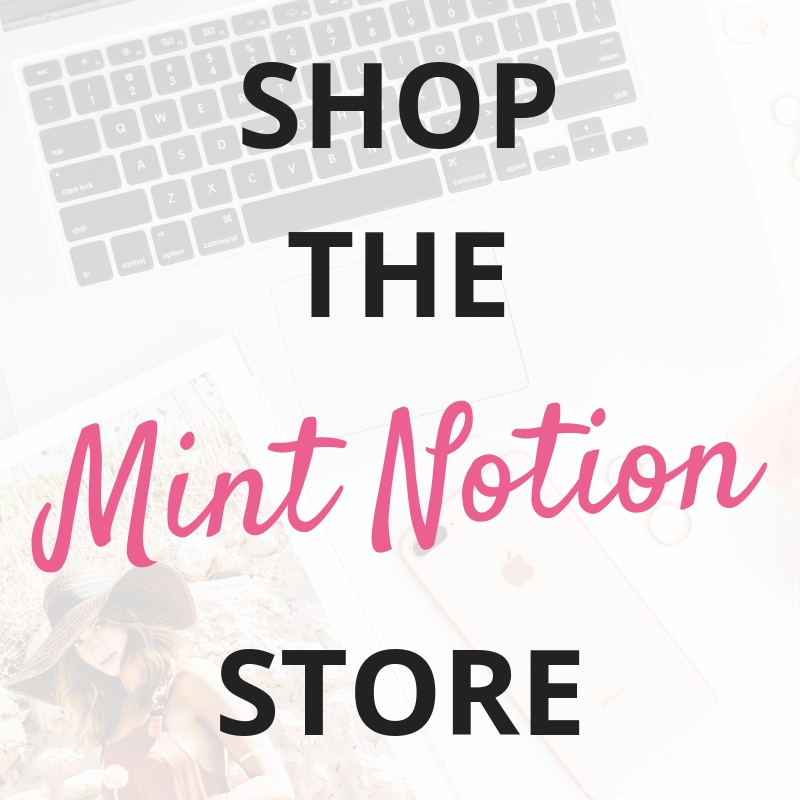 You can click on the link to check it out. If you haven’t already watched my Utah road trip video, please check it out. I used my GoPro Hero 4 to film the entire video. 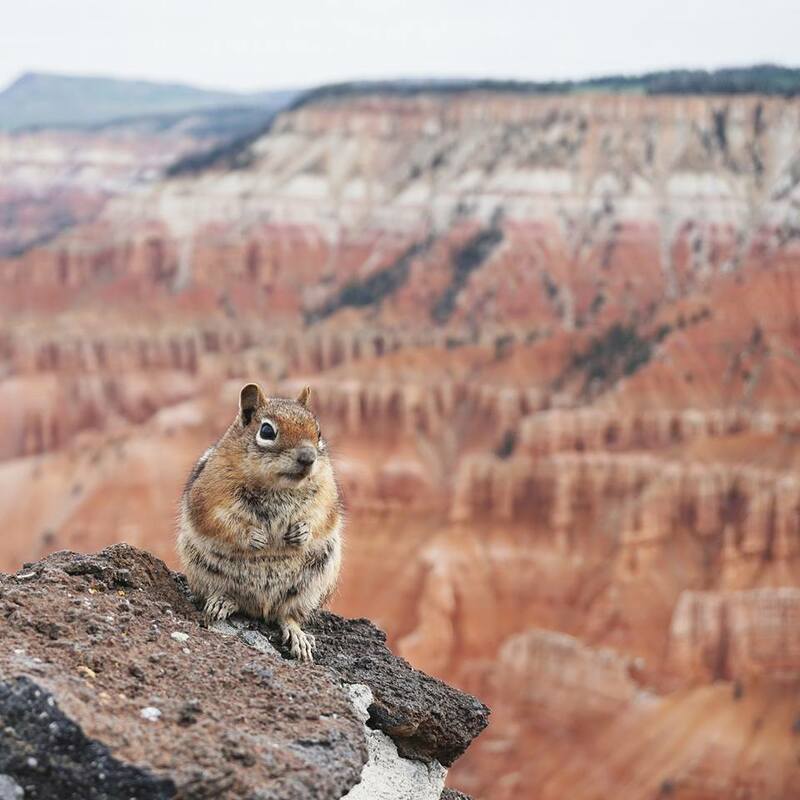 Over to you — have you been to any of Utah’s National Parks? Which one is your favorite? Amazing !! I wish I had more time to see them all when I had my road trip in America! 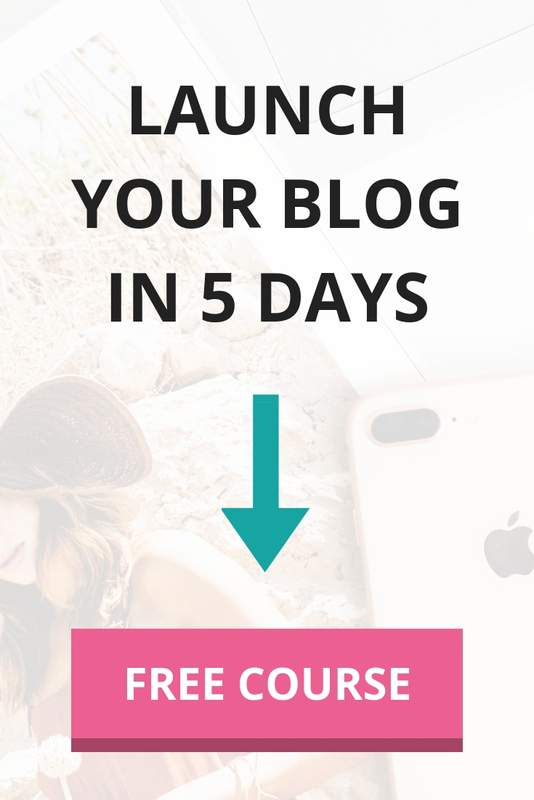 But hopefully I will be back one day and definitely use your blog post to make sure I won’t miss anything ! Yes, they are easy to find here (or you rent them from any of the Outfitters nearby Zion). They are good for this hike since they are light weight and have a good grip on wet surfaces. 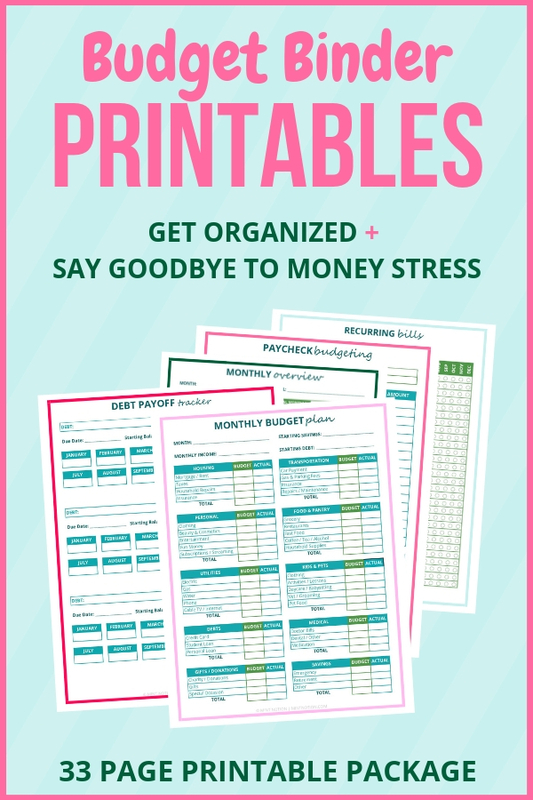 This is such a comprehensive list! I’d love to see Canyonland Park it looks really stunning there with that arch. I’d also like to see the sunset/stars at Dead Horse Point and view a sunset at Delicate Arch. It all really sounds great but I think it would be a bit ambitious for me. I’m not much of a hiker so I would have to pick one or two and start from there. Doing this all in one shot might kill me hah.